ELMHURST, Queens (WABC) -- A woman was struck by a train at the Elmhurst Avenue train station in Elmhurst, Queens, Friday morning. The 36-year-old appeared to jump onto the tracks just before 9 a.m. Friday. She was hit afterwards. Witnesses said they thought she was holding a baby at the time because she was cradling her bag. 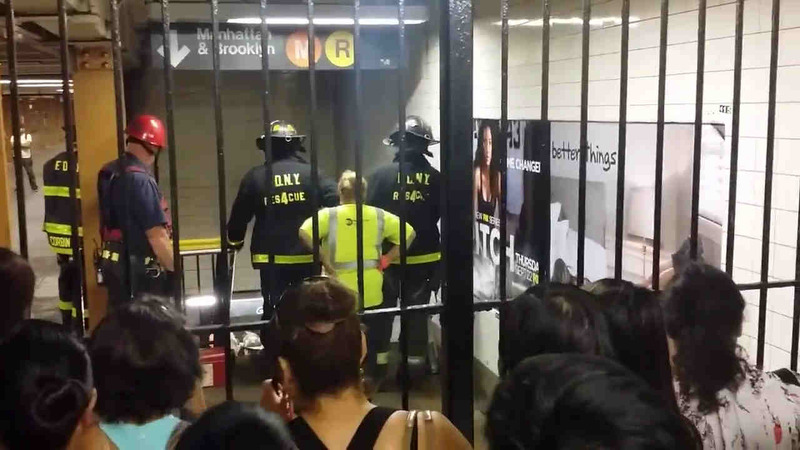 Several subway disruptions were reported, but normal service as since resumed.